A Halal butchers was officially opened by the mayor of High Wycombe yesterday, as part of a £1.7 million supermarket makeover. The popular Asda store in Cressex is currently undergoing a dramatic transformation, with the butchers and an in-store opticians just some of the new features. The new ‘Haji Baba’ meat counter was one of the first parts of the project to be completed, with town mayor, cllr Zia Ahmed, joining High Wycombe Imam, Sultan Mehmood, to cut the ribbon. The busy 24-hour supermarket, in Holmers Farm Way, will remain open with revised hours during construction, as bosses look to “refresh” the current departments in one of its biggest stores across the UK. 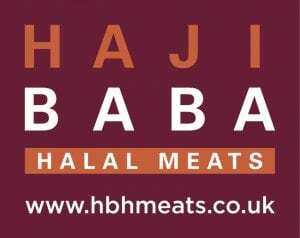 Recently rolled out to some of the other 614 Asda stores, the Halal butchers will offer customers different varieties of meat, handled and prepared using Halal butchery techniques. It will also provide a range of meats including lamb chops, chicken breasts and joints as part of the stores plans to offer an increased range of World Foods, bosses say. General store manager, Arrash Mahdavi, said: “This is an exciting time for our store to go through a complete transformation this year. The opticians block is set to be opened within the store later this year.